If you're not a fan of the whole bloody-baby-hands-sticking-out-of-your-belly Halloween pregnancy costume that seems to be everywhere, perhaps something a little more creative might do it for you. For starters, you could go all Jessica Simpson and make like a "mummy." Use some old long-john underwear and muslin wrap for an easy DIY costume. For the less creative among us (cough, cough), I love the idea of going as a Magic 8 ball. 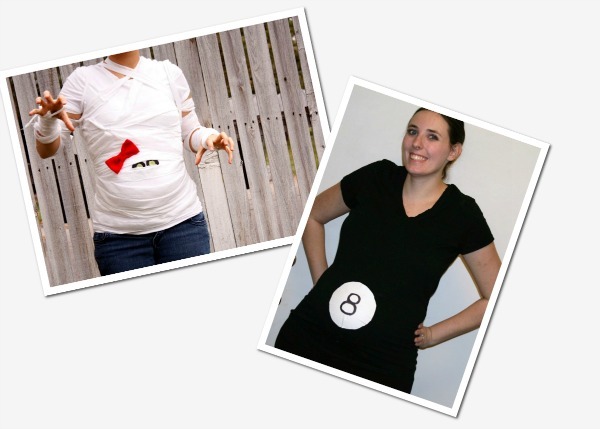 Just don a basic black T-shirt and slap a number 8 on a big white sticker on your bump and you've got yourself a clever costume. Let's just hope no one tries to shake you for the answer. This costume is definitely much more up to my speed. Paint a jack-o'-lantern face on an old (large!) T-shirt so your baby bump is a living pumpkin! 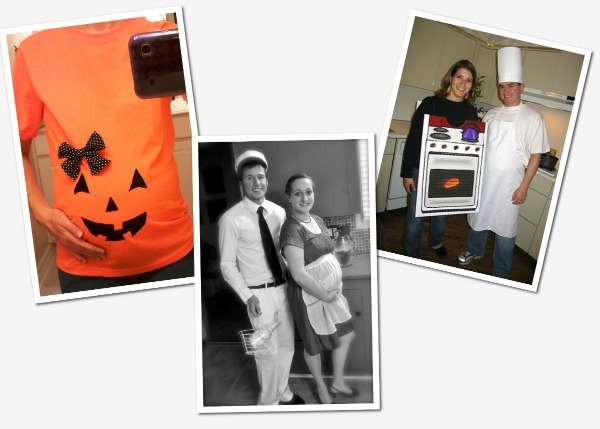 If you have a partner hitting the Halloween scene with you, go retro and cause quite the scandal as dressing as a pregnant housewife — and have him wear a milkman costume! I so wish I would have been pregnant enough at Halloween to pull this look off. An old cardboard box, some paint and some thrift-store suspenders would be enough to make this classic adage come to life.